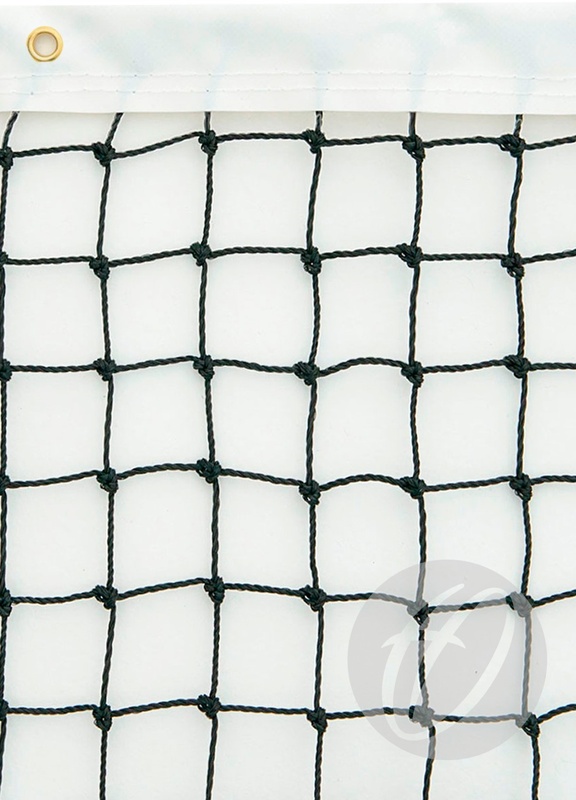 All of our lawn tennis nets conform to BS EN 1510. Heat set and bonded for good knot stability and shape. Complete with a vinyl coated nylon headband and PVC covered headline and winding end. The headline has a loop fitting on one end and ferrule on the other. Net attaches using synthetic net hooks. Q: How high should a standard tennis net be? 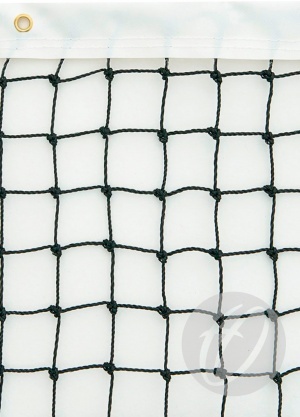 Nets can be fitted with a polyester headband upon request. (Price on application).